We’ve all made mistakes before, but some of us are still making mistakes that we don’t even realize we’re making. Our bug out bag is sitting in the corner and we think we’re ready to go if anything were to happen, but there’s really so much more you could be doing to be completely prepared. Here are 6 things to start doing now. You might decide that turning your back on mankind and trying to survive completely alone is the best idea, but there’s no way you can do it all on your own. Find those closest to you who you trust and want to survive and create a team. In the end of the world, having others on your side will make your load lighter and chances of survival higher. When you’ve assembled your team, figure out who is strong in what areas and assign tasks. If you don’t have someone who is skilled in a certain area you believe is vital, either find someone who is to join or have someone learn how to do it. Even the most prepared survivalist doesn’t know everything they need to survive. Being skilled in all kinds of different areas will help you be even more prepared for the worst. 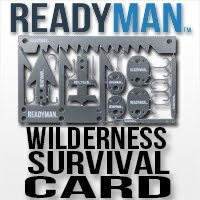 Skills like hunting, defense, building shelter, and lifesaving techniques are important for every advanced prepper. Taking online courses like ACLS recertification and canning classes make learning new skills easy. When a disaster comes, you don’t want to be running around like a chicken with it’s head cut off. You want to be prepared for the worst, but how do you do that? Practice. Get your team together and start running through drills so everyone knows exactly what they need to do when the dreaded day comes. Practicing won’t only help teach everyone what is expected of them, but will help you figure out what areas still need to be prepped. You’ll hit roadblocks in your practice run that you can fix before a disaster hits and you’ll be that much more prepared. Take a minute to just think and relax. You don’t want to always be uptight and worrying about what could go wrong. Being mentally stable is a key to being a successful prepper. Not focusing on being prepared will help you get back to the basics and figure out what is really important to you. Once you get back to work, this will help you be refocused and know what areas need work. We all have our bug out plan, but what happens if we get trapped in or it isn’t safe to go outside? You need to be prepared to bug in, or stay in place and survive, and know when you should bug out or bug in. 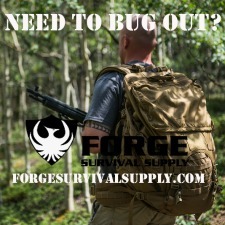 Certain emergencies will require you to bug out and certain ones will require you to bug in. Either way you should be prepared, but a lot of us only think about bugging out. We don’t have the necessary supplies or plans to stay in place. Create a plan for staying in place that includes security, shelter, communication, and how you will get food once your supply runs out. Keep a stash of food close by to be prepared to bug in. Here are some other tips for bugging in. Things go bad and we don’t think about it. You don’t want to be stuck in a disaster zone when nothing works. Checking all your supplies periodically will avoid this disaster of it’s own. Make sure your car is still in good shape. Check your food storage occasionally to make sure everything hasn’t expired. The best tip I’ve heard when checking your supplies is check it all yourself. You can’t just assume they will work when you need them and someone else might not like some of your supplies. If you check everything, you’ll know it works and you’ll know if it works for you. We all make mistakes when we’re prepping for a disaster, but there are some we can easily avoid. If you start implementing the above tips, the day the world ends will go a lot smoother for you and your family. Made a few modifications over time but most plans are still essentially the same. Glad to see you back, good reminders and good comments. Great guide, We have used most of these.